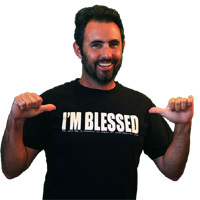 You can get a free “I’m Blessed” branded t-shirt. Follow our link, tell them how your life is blessed and supply them with your postal details and they will send out this t-shirt at your mailing address for free. Click GET FREEBIE button and then order your free t-shirt right away.